In an epic flyby, NASA’s New Horizons spacecraft has captured some beautiful pictures of Ultima Thule, a distant, icy object in the Kuiper belt. The spacecraft zoomed past the icy object at a speed of 32,000 miles per hour in the early morning hours on New Year’s Day. As reported previously, NASA scientists must try especially hard to receive a signal from the spacecraft because the Kuiper belt is quite far away. Flight controllers in Laurel, Md. Received a signal from NASA’s New Horizons spacecraft on Tuesday morning, about 10 hours after it flew past Ultima Thule. New Horizons launched in 2006 with the goal of visiting Pluto, which was once considered the farthest planet in the solar system. The spacecraft achieved this goal in July 2015 when it snapped beautiful photos of Pluto before continuing toward the second asteroid belt in our solar system, also known as the Kuiper belt. 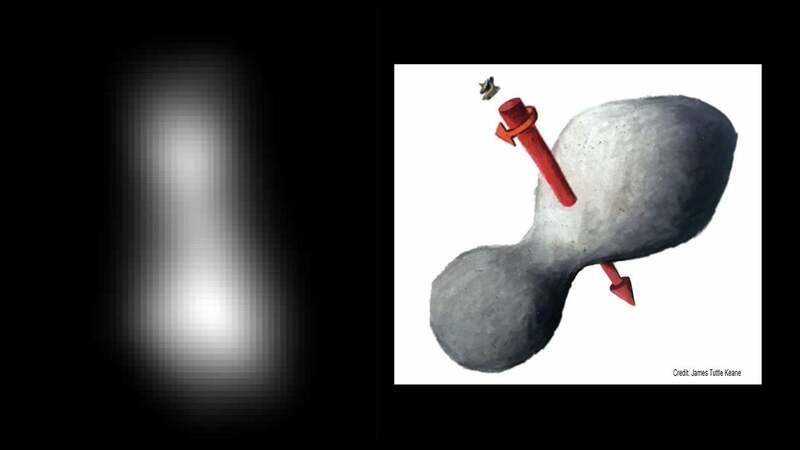 NASA said in its recent statement that New Horizons captured beautiful pictures of Ultima Thule during its approach. The spacecraft was within 2,200 miles of Ultima when it snapped the pictures at 12:33 a.m. Eastern on New Year’s Day. The images suggest that the object looks like a bowling pin and that it spins end over end. They estimate the object’s size at about 20 miles long by 10 miles wide. They also say it’s possible that Ultima is actually two objects orbiting each other. The Kuiper belt is a collection of frozen material which orbits the sun from very far away — even beyond Pluto. Scientists believe the asteroid belt’s frozen objects like Ultima Thule hold the secrets of how our solar system formed. NASA’s New Horizons spacecraft has already managed to capture gigabytes of photos and data, but all that data still has a long way to travel back before it reaches Earth. Scientists won’t receive the beautiful pictures Of Ultima Thule and their related data until September 2020 due to the vast distance between Earth and the location where New Horizons is now. Scientists won’t be able to begin their research until the data arrives.